Back in August I signed up for a modern postcard swap. 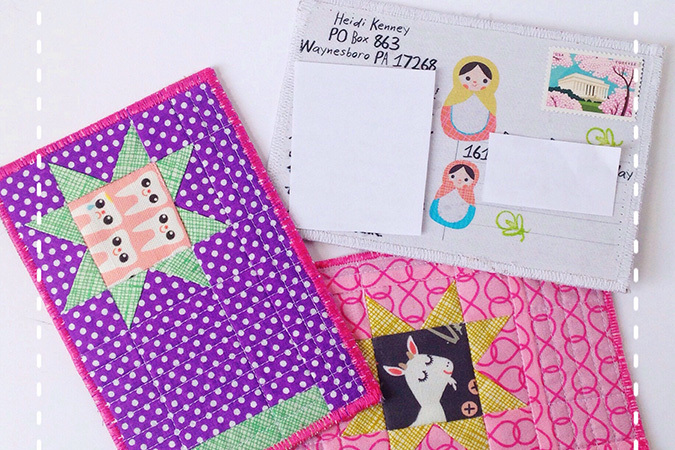 You sew a little tiny quilt like postcard, and send it through the post with a regular letter stamp! While I have not received any postcards yet, I thought I’d share the postcards I shipped out about a month ago. 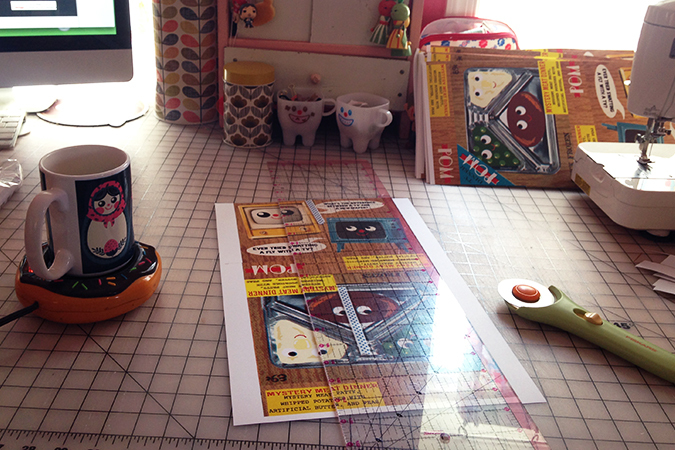 I used printable fabric that runs right through an inkjet printer to print the back side with addresses. I added a few of my illustrations since I was printing them out. 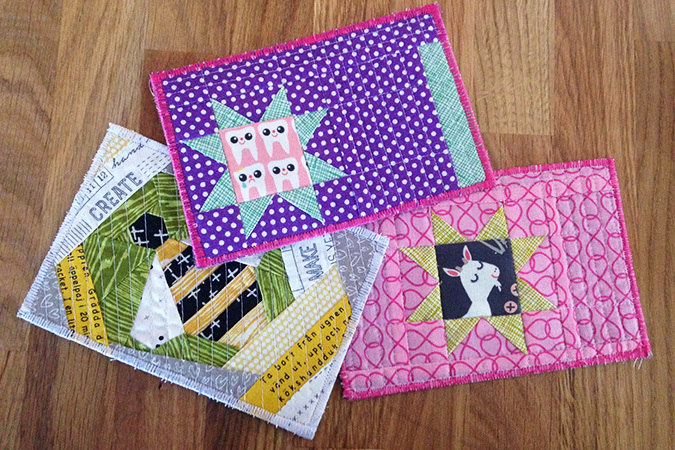 For the post card fronts I made the little quilts and quilted them as I normally would, but with a thick stabilizer. Then I made a stack with the printed back fabric, another layer of thick stabilizer, and the quilted top layer. 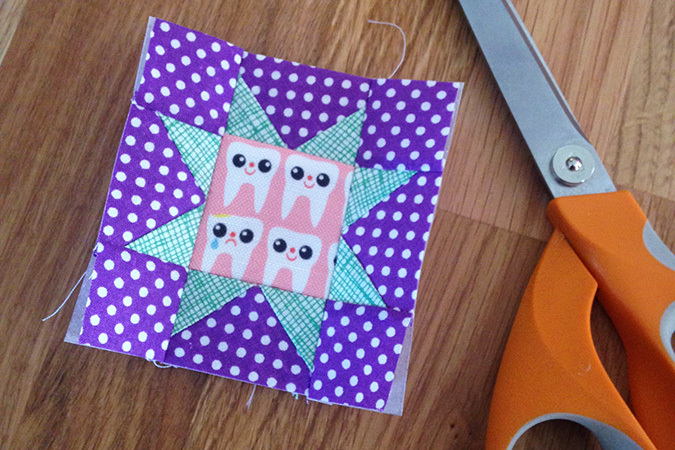 I used quilting spray glue to hold them all in place and then did a zigzag stitch around the outer edge to keep it all together. They worked up quickly! 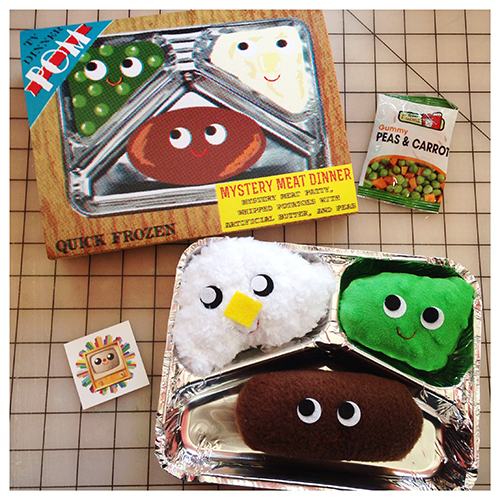 They were so much fun to make that I think I need to make some more for my pen pals. The bee pattern is a free pattern by Badskirt which can be found here. 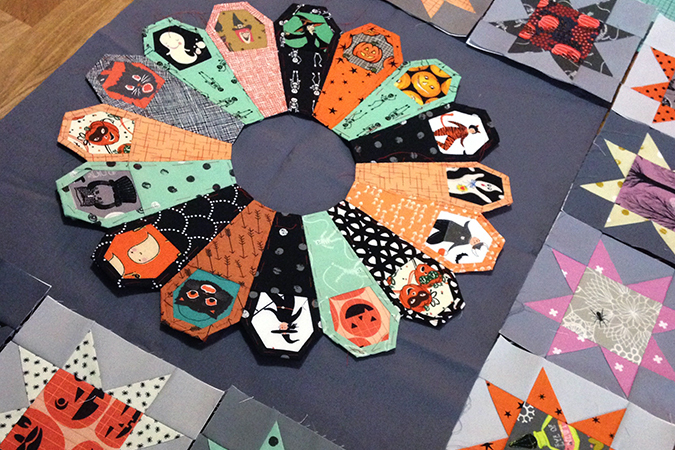 I’ve been slowly working on a Halloween quilt. 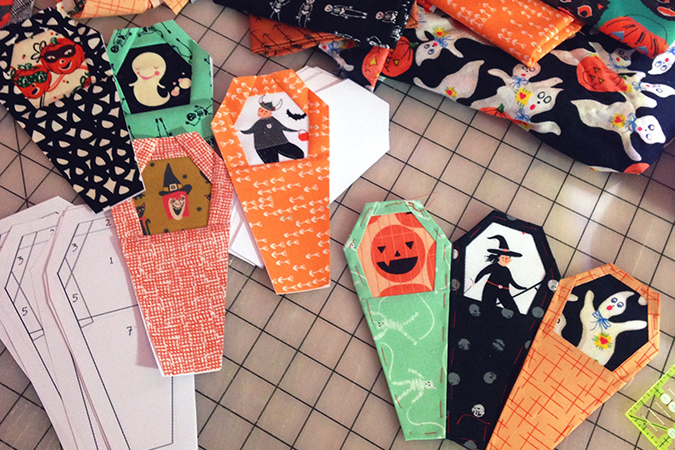 My friend Jessee came up with a coffin dresden pattern and since I could not leave well enough alone I had to try and use paper piecing to create little windows in the coffins. She now has included my little hack with her pattern incase you’d like to make occupied coffins too. 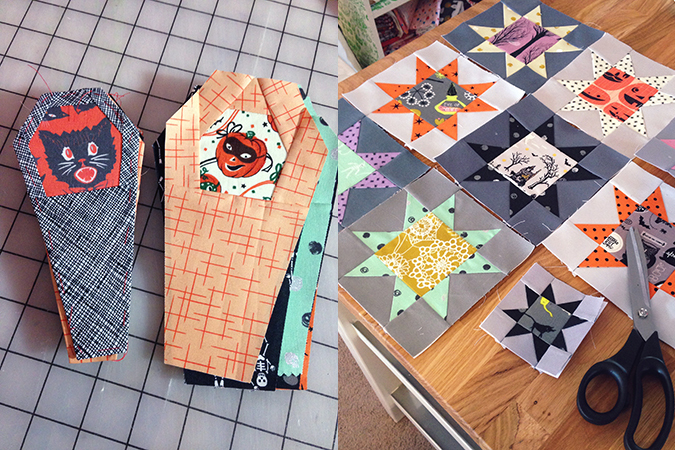 Hopefully I’ll get my quilt finished before Halloween! 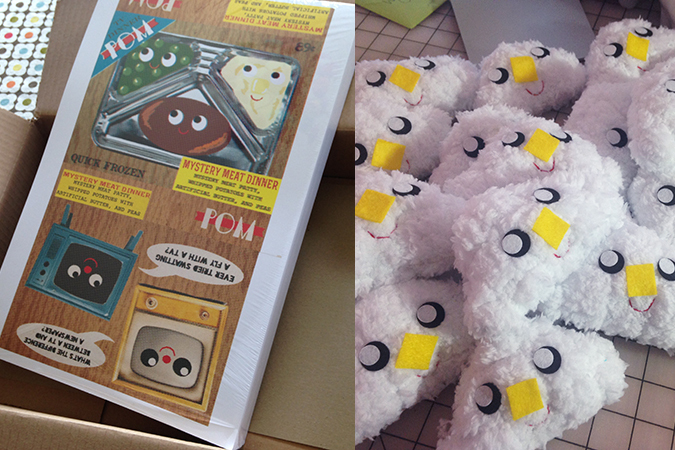 The Plush Of The Month Club boxes for June were something I had wanted to make for a long time. 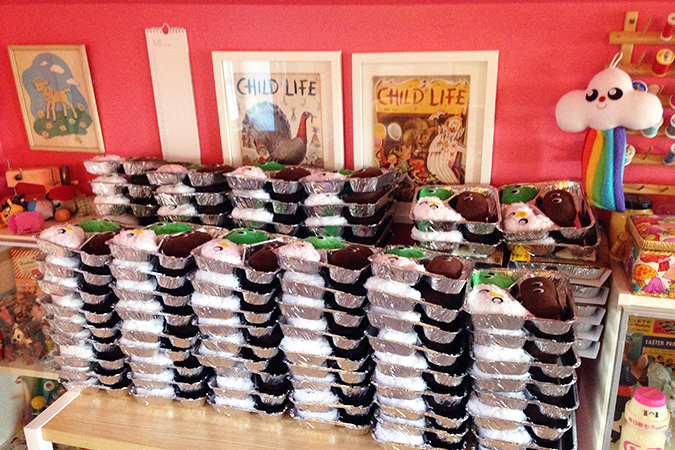 Trying to source the tin tv dinner trays took a long time, and then almost a month to even arrive, but I am glad for my patience because I was really happy with how they turned out. 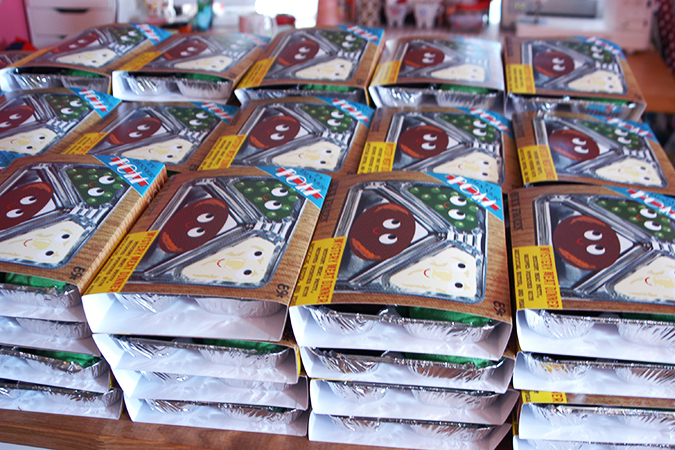 I cut out, folded, and glued the 200 cardboard covers over the course of a few days and as much as I love cutting things out, I was really happy when that part was over. I was very excited to find the packs of gummy peas and carrots. It seemed to fit in real well with the theme. 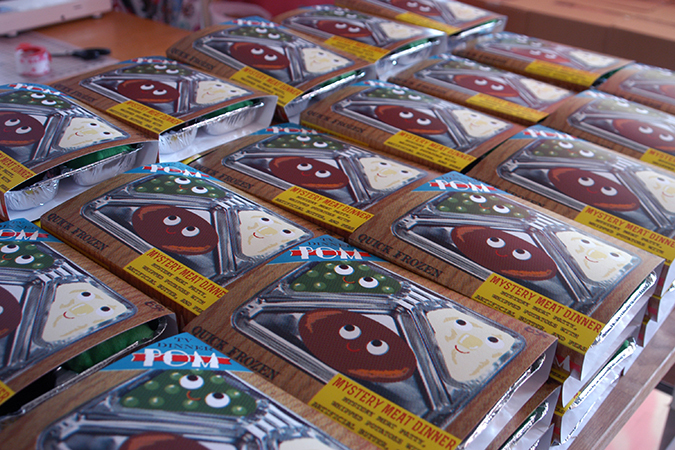 I also included a little vintage style tv sticker in each box. 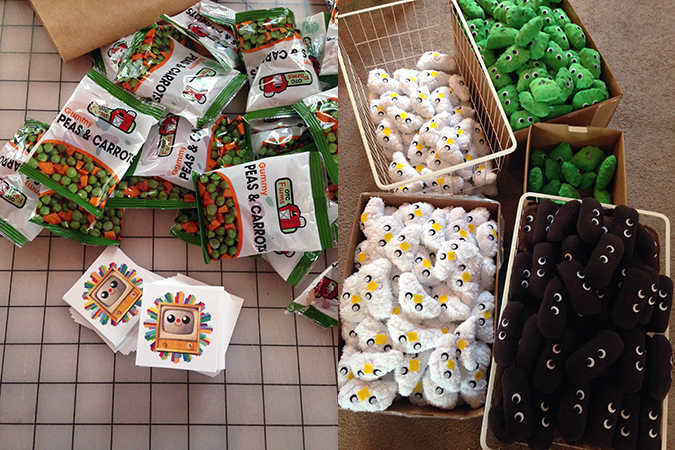 It’s hard to believe but the Plush Of The Month Club will be one year old in September, this year of making crazy boxes of plush has really flown by.